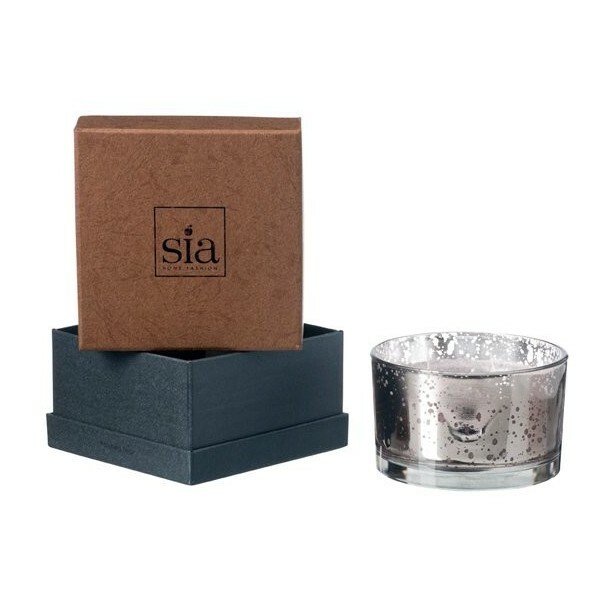 Silvery sparkly candle, scented with polished teak. 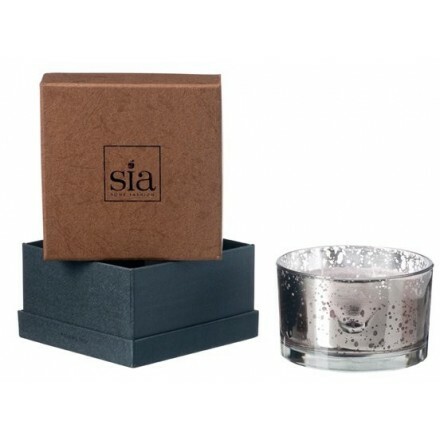 Scented three wick indoor candle with the warmth of polished teak. Metallic glittery light grey coloured candle set in a chunky metallic speckled/distressed glass holder. Beautifully boxed.